A Year of Being Here: Barry Spacks: "Within Another Life"
or a door that suffers every time it's slammed. come sit by me and contemplate these horses and these hills. the meadow on our walks where the brown geese strut. be sure I'll keep you safe. until I flow again like windswept hair. "Within Another Life" by Barry Spacks. Text as published in Poetry (December, 1999). 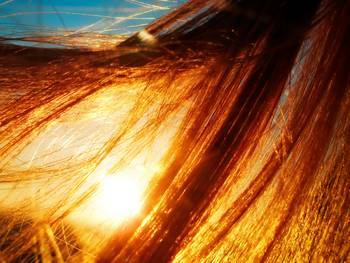 Art credit: "Wind in your hair," photograph by Alexandru Vita.